2. What Is Capacity Assessment? This FIG Guide is facing the widely stated problem of poor institutional capacity of land administration agencies in many developing and transition countries. Responding to this problem is not simple. The challenges of building capacity in land administration are immense and not similar to just human resource development. Capacity building must be seen as a broader concept of building the ability of organisations and individuals to perform functions effectively, efficiently and sustainable. The Guide aims to function as a basis for improving existing land administration systems through in-country self-assessment of the capacity needs especially in developing and transition countries where the financial resources often are limited. The government may form a group of experts to carry out the analysis, as a basis for political decisions with regard to any organisational or educational measures to be implemented for meeting the capacity needs. The research behind this publication was initiated and funded by the Food and Agriculture Organization of the United Nations (FAO). FIG and FAO hope that this Guide can contribute to developing effective and efficient land administration infrastructures especially in developing and transition countries in support of poverty reduction, economic growth, good governance, and sustainable development. Land administration covers a number of functional areas in relation to governing the possession and use of land. It comprises a range of systems and processes to administer land rights, land valuation and taxation, and existing and future land use. Land administration systems are concerned with the social, legal, economic and technical framework within which land managers and administrators must operate. This Guide addresses the ability/capacity of land administration systems at the societal and institutional level as well as the individual level in terms of professional competence and human resource development. The guidelines are developed to serve as a logical framework for addressing each step in the process of building adequate land administration systems - from land policy, policy instruments, and legal framework; over mandates, business objectives, and work processes; to needed human resources and training programs. For each step the capacity of the system can be assessed and possible or needed improvements can be identified. This FIG Guide attempts to provide some practical guidance in addressing the capacity needs. The first part of the Guide provides a general understanding of the capacity building concept. It is emphasised that even if the key focus may be on education and training, to meet the short and medium term needs, capacity building measures should be addressed in a wider context of developing institutional infrastructures for implementing land polices in a sustainable way. The second part of the Guide presents a methodology for an in-country self-assessment of capacity needs and some suggestions for addressing these needs. The methodology is based on a three stage approach by addressing firstly the national land policy framework (the societal level), secondly the institutional infrastructure (the organizational level), and finally the human resources and competences (the individual level). The guidelines are presented in the form of boxes with relevant questions to be analysed for assessing and addressing the capacity needs. It is of course recognised that individual countries are facing specific problems that may not have been addressed in these guidelines at all. Hence, the guidelines are meant as a tool for undertaking a structured and logical analysis of the capacity needs. In short, the guidelines are designed to pose the right questions in a structured way rather than giving all the right answers. 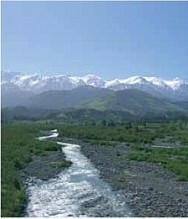 All countries have to deal with the management of land. They have to deal with the four functions of land tenure, land value, land use, and land development in some way or another. National capacity may be advanced and combine the activities in one conceptual framework supported by sophisticated ICT models. More likely, capacity will involve very fragmented and basically analogue approaches. Different countries will also put varying emphasis on each of the four functions, depending on their cultural basis and level of economic development. The operational component of any land administration system are the range of land administration functions that ensure proper management of rights, restrictions, responsibilities and risks in relation to property, land and natural resources. These functions include the processes related to land tenure (securing and transferring rights in land and natural resources); land value (valuation and taxation of land and properties); land use (planning and control of the use of land and natural resources); and, increasingly important, land development (implementing utilities, infrastructure and construction planning). The functions interact to deliver overall policy objectives, and they are facilitated by appropriate land information infrastructures that include cadastral and topographic datasets. There are two key aspects in building such land administration infrastructures: first the establishment of the appropriate land administration system itself; and secondly ensuring that there is a sustainable long-term capacity of educated and trained personnel in both the public and the private sector to operate the system. In many developing and transition countries this second aspect of human resource development is often the weakest link. However, it is important to emphasise that capacity building must be seen in a wider context of providing the ability of organisations and individuals to perform functions effectively, efficiently and sustainable. This includes the need to address capacity needs also at institutional and even more broadly at societal levels. This logical framework for capacity assessment is presented in a number of boxes posing the relevant questions that should enable assessment of the capacity needs. In total 17 boxes are presented that in a practical way should reveal both the strengths and weaknesses of the system. The analysis may lead to the need for organizational changes or improvements. The analysis may also indicate the need for developing the necessary human resources and skills base or for improving the competence of the existing personnel. Identified needs can then be addressed within available resources of the individual country. “Capacity can be defined as the ability of individuals and organizations or organizational units to perform functions effectively, efficiently and sustainable.” (UNDP, 1998). This definition has three important aspects: (i) it indicates that capacity is not a passive state but is part of a continuing process; (ii) it ensures that human resources and the way in which they are utilized are central to capacity development; and (iii) it requires that the overall context within which organizations undertake their functions will also be a key consideration in strategies for capacity development. Capacity is the power of something – a system, an organization or a person to perform and produce properly. Capacity Building is seen as two-dimensional: Capacity Assessment and Capacity Development, as presented in section 2.3 and 2.4 below. An entity may be a formal organization such as government or one of its departments or agencies, a private sector operation, or an informal organization such as a community based or volunteer organization. At this level, successful methodologies examine all dimensions of capacity, including its interactions within the system, other entities, stakeholders, and clients. This level addresses the need for individuals to function efficiently and effectively within the entity and within the broader system. Human Resource Development (HRD) is about assessing the capacity needs and addressing the gaps through adequate measures of education and training. Strategies for capacity assessment and development can be focused on any level, but it is crucial that strategies are formulated on the basis of a sound analysis of all relevant dimensions. It should also be noted that the entry point for capacity analysis and development might vary according to the major focus point. However, it is important to understand that capacity building is not a linear process. Whatever is the entry point and whatever is the issue currently in focus, there may be a need to zoom-in or zoom out in order to look at the conditions and consequences at the upper or lower level(s). Capacity development is a concept which is broader than institutional development since it includes an emphasis on the overall system, environment and context within which individuals, organizations and societies operate and interact. Even if the focus of concern is a specific capacity of an organization to perform a particular function, there must nevertheless always be a consideration of the overall policy environment and the coherence of specific actions with macro-level conditions. Capacity development does not, of course, imply that there is no capacity in existence; it also includes retaining and strengthening existing capacities of people and organisations to perform their tasks. Capacity Assessment or diagnosis is an essential basis for the formulation of coherent strategies for capacity development. This is a structured and analytical process whereby the various dimensions of capacity are assessed within a broader systems context, as well as being evaluated for specific entities and individuals within the system. Capacity assessment may be carried out in relation to donor project e.g. in land administration, or it may be carried out as an in-country activity of self-assessment. This paper provides some basic guidelines for self-assessment of the capacity needs in the area of land administration. The guidelines attempt to address the capacity of the total land administration system, at societal, institutional and individual level. There are more definitions of land administration. In the UN/ECE Land Administration Guidelines (1996) land administration is defined as the “process of determining, recording and disseminating information about the ownership, value and use of land when implementing land management policies”. Dale & McLaughlin (1999) define land administration as “the processes of regulating land and property development and the use and conservation of the land, the gathering of revenues from the land through sales, leasing, and taxation, and the resolving of conflicts concerning the ownership and use of land”. Figure 1. A Global Land Administration Perspective (Enemark, 2004). Land administration is considered to include a core parcel based cadastral and land registration component, multi-purposed cadastres and/or land information systems. Many land administration systems also facilitate or include information on land use planning and valuation/land taxation systems – although land administration does not usually include the actual land use planning and land valuation processes. Land Tenure: the allocation and security of rights in lands; the legal surveys to determine the parcel boundaries; the transfer of property or use from one party to another through sale or lease; and the management and adjudication of doubts and disputes regarding rights and parcel boundaries. Land-Use: the control of land-use through adoption of planning policies and land-use regulations at national, regional/federal, and local levels; the enforcement of land-use regulations; and the management and adjudication of land-use conflicts. Land Development: the building of new infrastructure; the implementation of construction planning; and the change of land-use through planning permission and granting of permits; and the distribution of developing costs. Inevitably, all the functions are interrelated. The interrelations appear through the fact that the actual conceptual, economic and physical uses of land and properties influence land values. Land values are also influenced by the possible future use of land determined through zoning, land use planning regulations, and permit granting processes. And the land use planning and policies will, of course, determine and regulate future land development. The modern land administration system acts within adopted land policies that define the legal regulatory pattern for dealing with land issues. It also acts within an institutional framework that imposes mandates and responsibilities on the various agencies and organisations. As such it should service the needs of both the individual and the community at large. As a result the system acts as a kind of backbone in society since it is the key to administering the relationship of people to land. 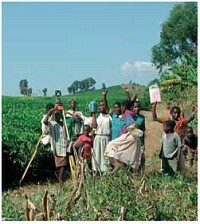 Benefits arise from efficient land administration through its role in guarantee of ownership, security of tenure and credit; facilitating efficient land transfers and land markets; supporting management of assets; and providing basic information and efficient administrative processes in valuation, land use planning, land development and environmental protection. A Land Administration System designed in this way forms a backbone for society and is essential for good governance because it delivers detailed information and reliable administration of land from the basic foundational level of individual land parcels to the national level of policy implementation. The land administration activity is never an end in itself, but operates within a certain context of land policy, land management and good governance. The justification for paying attention to land administration is to be found in its application in the field of providing security of tenure, regulating the land markets, levying land tax, planning and control of land use, land reform etc. From a financial point of view this will mean that the investments and costs of a land administration system should be justified by macro-economic factors (like the importance of land market transactions; industrial and agricultural development towards economic growth; and environmental sustainability of land and natural resources) and micro-economic factors (such as land as a collateral for micro credit for households and small businesses; paid mortgage interests that underpin the financial institutions; and paid land taxes that underpin public services). To put it briefly: capacity needs in land administration are highly influenced by the way governments want to administer the land, and also by the way regulations and organisations are implemented and managed within the country. It emanates from the earlier given definitions of land administration that governments pursue political objectives of which many are land related, such as poverty eradication, sustainable agriculture, sustainable settlement, development of economic activity, and strengthening the role of vulnerable groups within the society. In order to realise these objectives governments could develop a policy on how the land ('access to land') and the benefits of the land ('access to land related opportunities') are to be allocated. With the aim of implementing such policies governments define how they want to regulate land related activities in society, such as holding rights to land, economic aspects of land, and control of land use and development. Regarding the issue of 'holding rights to land', the rules and prescriptions define the mode in which rights to land can be hold (customary law, land law), who will have access to holding rights to land (land reform), through which mechanisms people can acquire rights to land (e.g. sale, lease, loan, gift, inheritance, allocation by chief), how security of tenure can be guaranteed (customary traditions, land registration system and cadastre), how land disputes are to be adjudicated (customary traditions, civil or administrative law). Regarding the issue of 'economic aspects of land', the rules and prescriptions define how the government might levy taxes on land (land taxation), through which mechanisms the tax base might be assessed (land valuation), and how disputes might be adjudicated (administrative law). Regarding the issue of 'control of land use', the rules and prescriptions define how the government might regulate the use of land and its resources (planning control, subsidies, permits, management of state lands, customary traditions), through which mechanisms the government will have the competence to interfere in private rights to land (planning law, public acquisition of land, expropriation), and how disputes are to be adjudicated (customary traditions, administrative law). In order to implement the rules and prescriptions the government assign mandates within the public administration regarding the tasks to be carried out. This includes policies on centralization/decentralization, public/private roles, customer orientation, public participation, accountability, liability, and good governance in general. In order to exert the given mandate, the organizations have to define their business objectives, work processes, ICT policy, quality management procedures, and their relationships with other organizations e.g. by means of spatial data infrastructures. (van der Molen, 2003b). In order to make the organizations work they have to identify the staffing policy, the required expertise and skills (education and training analysis), and the tools for educational development such as education and training programs and opportunities for continuing professional development. Policies and a legal framework that define the private and public status of land in terms of tenure, value, and use. Mandates allocated to the public administration in order to establish transparent and viable institutions. Managers and employees who are empowered to meet individual demands in terms of skills and professional competence for working efficient and effective. Businesses and citizens, who are empowered to participate effectively in order to comply with the land related social arrangements. As already stated above, capacity building is not similar to just human resource development. It addresses the broader concept of the ability of organisations and individuals to perform functions effectively, efficiently and sustainable. The logical framework developed in section 3.2 above may then be organized into specific steps that can be considered as building blocks in the Guidelines on Capacity Assessment in Land Administration. This should not be done in a normative way. Research reveals that because of the very nature of land administration systems no systems can be designated as “the best”. As explained in section 3.2 above, land administration systems have to serve certain functions in society, as they are defined by the same society given its own policy, jurisdiction, history, and national and local culture. Therefore, the specific steps should serve as a guideline for countries which are ambitious to assess, in logical way, the capacity of their existing land administration system in order to identify any needs for improvements in terms of organisational or educational measures. The guidelines will then serve as a logical framework for addressing each step from land policy, policy instruments, and legal framework; over mandates, business objectives, and work processes; to needed human resources and training programs. For each step the capacity of the system can be assessed and possible or needed improvements can be identified. The steps are identified in the logical framework presented in figure 2 below. Each step is then addressed in a box posing some key questions to be analyzed. Some comments are given in each box in order to facilitate the analysis. The analysis may lead to the need for organizational changes or improvements. The analysis may also indicate the need for developing the necessary human resources and skills base or for improving the competence of the existing personnel. The analysis must of course be realistic. For example if a country such as Indonesia wished to have a land administration system supported by a land title and cadastral surveying system similar to Denmark or Australia, this could possibly require 40,000 professional land surveyors and 30 or more university programs educating professional surveyors (based on Steudler et. al., 1997). Clearly this is not realistic even in a medium term perspective. As a result, there is a need to develop appropriate solutions matching the stage of development and specific characteristics and requirements of the individual country. Therefore, the analysis may lead to adjustment of the political objectives and/or adjustment of the business objectives for the individual organizations. This is shown in the diagram below. It should be stressed that the methodology is mainly aiming at developing and transition countries. The guidelines are presented as a number of boxes following the logical framework presented in section 4 above. The guidelines aim to function as a basis for in-country self-assessment of the capacity needs in land administration. The government may form a group of experts to carry out the analysis, as a basis for political decisions with regard to any organisational or educational measures to be implemented for meeting the capacity needs. What are the political objectives that relate to access to land and land related opportunities? Is the government well aware of the importance of the land issue for sustainable development? Is it recognised that land is a key issue in terms of political objectives? In many global documents such as Agenda21 and other UN, FAO and Habitat declarations land is considered as crucial issue. Main political objectives such as poverty eradication, sustainable housing and agriculture, strengthening the role of vulnerable groups (indigenous, women), are one way or another related to access to land, and to land-related opportunities. This definitely impacts on the policy of donor agencies (e.g. the English policy on 'better livelihoods for people', the German policy on 'land tenure in development cooperation', and the Dutch policy on 'business against poverty'), and on Poverty Reduction Strategy Papers for the World Bank. Land policy could be defined as the way governments deal with the land issue. It is within this context that we can identify the function of land administration systems, as a supporting tool to facilitate the implementation of a proper land policy in the broadest sense. Are the political objectives well expressed in the current land policy? Does the land policy address the key issues? Is the access to land, the allocation of land, and the resulting land use in conformity with the political objectives? Governments should develop a policy on how the land ('access to land') and the benefits of the land ('access to land related opportunities') are to be allocated. With the aim to implementing this policy governments define how she wants to regulate land related activities in society, such as holding rights to land, control of land use, and economic aspects of land. Access to land and land related opportunities can be approached in different ways, for example from the point of view of equality of land distribution, or encouraging viable farming through imposing a minimum size of the holdings, or combating large holdings through enforcing ceilings of land ownership, etc. Access to land can also be through the rental market, which is especially applicable in urban areas, but also in rural areas in the form of short leases. Access to land is not only a matter of having the opportunity to benefit from land. Important is that this should be possible in a sustainable way; therefore the security of tenure plays a key role. If the way the government wants to allocate the land and the benefits of the land is clear, it provides focus to land administration activities, which will enhance their ability/capacity to fulfil the political objectives. The whole complex of holding rights to land? The whole complex of planning, development and control of land use? The whole complex of land valuation and taxation for gathering revenues? Governments have to identify which instruments they want to apply in order to implement the political objectives and the way of allocating land and the benefits of land. If a government aims at providing its citizens with very secure title to land, it should for example put an adequate title registration system in place. If the government wants to control land use, e.g. there should be a system of land-use approvals through permits. If governments want to redistribute land ownership, e.g. there should be a land reform policy in place combined with mechanisms for acquisition and distribution. If a government wants to control the land market, there should be measures of a market regulation. Briefly: policy objectives and the 'how to do' question go together. A good link between objectives and instruments provide a good starting point for the clarification of user requirements for land administration systems and thereby the ability/capacity of systems. Does the legal framework provide sufficient legitimization of the government's regulations? To which extent does the framework meet the demands of the rule of law, e.g. the constitutional law? Is the issue of public consultation well addressed in the procedural rules? Governments are expected to work within the principles of good governance and the rule of law. Good governance is normally defined as 'the way power is exercised in managing a country's economic and social resources for development'. This includes five major elements: effectiveness of the law making process; existence of mechanisms for mobilizing public support; effectiveness of the management of the public sector; effectiveness of the enforcement of the law; and existence of appeal procedures. The Rule of Law can be defined to exist when there are measures for peaceful solution of disputes based on law rather than on force, and measures for controlling the government itself through limitations of official power by a variety of legal mechanisms, both substantive and procedural (Moore, J.B., University Virginia). There are five major elements: guarantee of basic rights; separation of powers; legality of the administration; constitutionality of laws; judicial remedies and judicial review. A legal framework that legitimizes governmental actions also provides a legally meaningful land administration system, and enhances its use. Does the legal framework provide enough clearness and transparency regarding the whole complex of holding rights to land? Are the rights people might have to land (including role of customary law) sufficiently transparent? Is it clear who has access to obtaining rights to land? Do the regulations address the equity and fairness on access to rights to land (land reform)? Are the procedures for establishment, transfer and abolition of rights to lands clear and well accepted? Do the regulations for the land market serve equity and fairness without moving people in illegality or informality? Is security of tenure provided and to which extent (land registration, titles, cadastres, conveyance procedures)? Are there appropriate means for conflict resolution in place (courts, mediation, traditional means)? Can legal and administrative arrangements enforce these issues in a way that comply with good governance and the rule of law? The latest definition land registry and cadastre is from Kaufmann & Steudler in 'Cadastre 2014' (1998, saying it is 'a methodically arranged public inventory of data concerning all legal land objects in a certain country or district, based on a survey of their boundaries; such legal land objects are systematically identified by means of some separate designation; they are defined either by private or public law; it contains the official records of rights to legal land objects'. This definition is building upon earlier definitions for example by the International Federation of Surveyors (FIG, 1995). Important is that land administration systems, which exist in the first place of land registers and a cadastre, are based on legally recognised rights and interest in land. Such systems therefore flourish if there is enough clarification on the nature and form of lands rights, procedures for establishment, transfer and abolition etc. Regarding the earlier mentioned policy objectives (box 1 above), these should be reflected in the way rights to land is defined, and how procedures for holding rights in land are designed. The existence of an adequate legal framework for land rights that meets the demands of society, enterprises and individuals will enhance the ability and capacity of the land administration system to serve society needs. 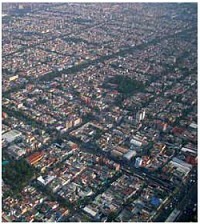 Is the whole complex of planning, development and control of land use well defined and enforced? Is there a policy at various government levels clarifying about how to use the land? Is the relationship between planning, development and control of land use well defined? Is it clear how the government might interfere in private rights to dispose of their land? Are there enough opportunities for the government to acquire private land for public development purposes? Are the rules for the governmental management of state lands clear and adequate? Are there enough legal and administrative arrangements to enforce these issues in a way do they comply with good governance and the rule of law? Governments tend to exert a certain control to the development of space in the country. In extreme form this might occur by declaring all landownership to the state and allowing land use according to the government's decisions only. The government in any case has to decide to which extent she wants to have control over land use. This requires regulations defining the way these powers might be exerted. For example, the legal meaning of zoning plans should be clear. In what way are they binding to the citizen, and are they binding to the government itself? If citizens do not comply with the land-use regulations, how can the government enforce the regulations and interfere in private rights to land? This is even more demanding in situations where the government may want public acquisition of land, through pre-emptive rights and expropriation. Planning, development and control are, this way, interrelated components of land use control. Referring to earlier definition of land administration (UN/ECE, 1996), it was said that land administration provides the context for determining, recording, and disseminating information about ownership, value and use of land when implementing land management policies. The existence of an adequate legal framework for land planning and land use rights will enhance the ability and capacity of the land administration system to serve society needs from both the government and the citizen perspective. Is the whole complex of valuation and taxation of land for gathering revenues well defined and enforced? Can land be used as a tax base? Is the impact of taxation on the use of land and land markets taken into account? Do the valuation methods fit to the societal needs? Do the people comply with the rates that convert land value into the levied tax amount? Are there legal and administrative arrangements in place to enforce these issues in a way responding to good governance and the rule of law? Land taxation is considered as a major source of income especially for local governments. Four aspects are of importance: who is the taxpayer; what kind of land and property is the land to be taxed; what is the valuation mechanism; and what is the rate to be levied based on this information. The balance between income tax and land tax should be carefully considered and the procedures and efforts invested in the land valuation/taxation procedures should be balanced against the revenue gained through taxation of land and property. Major valuation mechanisms are based on an assessment of the market value of the property. This means that the system should provide the most important basic information regarding the taxpayer, the taxable land, and the taxable value. This also goes for countries where the land tax is based on some form of what is called cadastral income (as a kind of estimate of the benefit one could reap from the property). Clearness about valuation procedures, land taxation laws, and the authorities will contribute heavily to the ability/capacity of the land administration system. Are the mandates in place for exertion of land related legal framework? Are the mandates clear and manageable? Clear mandates within the public administration enhance the effectiveness. There are countries where various organisations have a mandate on land related issues (for example the issuing of land titles). This is not only causing frictions in the public administration, but moreover also confuses the citizens. Governments should take into account the operational aspects of the mandate. It makes no sense to impose a mandate that is expected not to be workable and manageable. The ability/capacity of any land administration system relies on clear mandates. Without a clear and manageable mandate, good performance can never be guaranteed. Does the allocation of mandates reflect a well-balanced approach to decentralisation? Are the linkages between the mandated organizations well defined to ensure good institutional co-operation? Land administration is often associated with decentralization. The reason is that decisions on land very much affect ordinary people, and therefore it is efficient and effective to allocate these tasks at the appropriate local level of government. In allocation of tasks at that specific level, the need for sharing information should be taken into account. E.g. application of information technology can provide a system of central processing and storage, and local information management. The ability of land administration organisations should on one hand reflect the importance of local presence, on the other hand guarantee countrywide application. This balance is important to meet customer demands. Are the business objectives for mandated organisations clear and specific? Does the mandate include meeting the demands of the customers and other stakeholders? Is there a clear policy in place for the management of customer relations? Implementing a mandate is one thing, doing it in a customer friendly way is another. Many government organizations seem to believe that good customer orientation is not relevant for them, because they perform a public task. On the other hand it could be argued that exerting a public monopoly includes even more attention to customers than in commercial business, as the customers of public organizations normally don’t have a choice. Dissatisfaction will be their basic attitude. To push government organizations forward towards customer friendliness, it might be advised to include ‘customers’ in their mandate, or in the derived mission statement. Maintaining good relationships with customer’s urges for good market communication such as telling the customer what he can expect and thereby avoiding over-expectations. This may sound very commercial, but if -for example- land registers and cadastral maps are in digital format, these databases could provide many sorts of land information, both standards- and customized products that can be electronically accessed, making helpdesks necessary, call centres, product folders, complaints procedures etc. If customers have to pay a certain price for a product, they require financial transparency, especially in the case of government organizations. In the commercial environment this is less important, as customers can go to the competitor if they are unsatisfied by the performance of a company. Customer orientation requires a certain amount of dedicated staff, with specific expertise and skills. Are the work processes for realization of the mandate well defined and manageable? Are the work processes monitored and evaluated? Is the organizational structure well designed for the execution of the work processes? Is there a policy in place for design of spatial data infrastructures at national and local level? Having good control of the organization’s performance is impossible without a clear description of work processes, in terms of activities, requirements and responsibilities. This is the basis for monitoring and accountability. At the same time a clear description offers opportunities to identify and abolish inefficiencies. Processes in the field of land management often tend to be very complicated and bureaucratic. The lack of transparency regarding procedures in, for example, the areas of land titling, the land market, and land use control is often mentioned as a main source for cumbersome operations. Therefore, talking about capacity in the sense of ability, the capacity of organizations to deliver is at stake. From the management point of view, the way of monitoring of work processes is important. During the process itself the key steps should be evaluated, in order to identify bottlenecks and delays. Sound land administration also requires support from a well-developed spatial information infrastructure for sharing geo-referenced information at national and local level. This includes the need of adequately to address conceptual and policy issues such as data access, intellectual property, cost recovery, and design of an efficient institutional framework. By creating an infrastructure and the relevant linkages positive results will emerge. Clear responsibility for data maintenance and upgrade will be established, duplication will be reduced and analysis improved. Sound decision-making processes are developed for governments at all levels, and valuable information is created for academic institutions, the private sector and the community (see FIG publications no 30 and 31 on Spatial Information and Land Information Management for Sustainable Development). Basically capacity is delivered through work processes. Without appropriate attention to work processes, and the structures in which they have to operate, the ability of organizations for a good performance can be questioned. Are the ICT applications well designed to support the work processes and the business objectives? Is the internal and external information flow clearly specified? Is the information technology sufficient for further development and maintenance of the information system? Many processes in the field of the administration of land require huge amounts of data. This is typically the case for land registration and cadastre, but also –as examples- for monitoring the land market, land use planning and control, land taxation, management of natural resources and land reform. In the case of land registration and cadastre the maintenance of these datasets is the main challenge, as the establishment, transfer and deletion of rights and interests to land is a continuous process resulting in changes of the datasets at a daily bases. Without mechanisms for maintenance, the investments in the establishment of these datasets will soon have no return. The solution for dealing with these high transactional datasets is the application of ICT, although prior to the introduction of adequate ICT products many countries were successful in keeping their datasets up to date in a manual way. It could even be good for employment! Whatever the case, nowadays these organizations dedicate substantial amounts of money to system design, system development, and system operations. It is, however, well understood that installing hardware and software as such is not the way to fully benefit from ICT. At the contrary, it is actually considered as the last step in the process of applying ICT-tools. Management literature reveals a (at least) three-step approach. Beginning with analyzing the flows of information within the organization itself and between the organization and its external environment (customers, other stakeholders), then analyzing which software is suitable for good support of these flows, and then finally the selection of hardware that suits best. In ICT-terms one says that first of all there should be a good understanding of the ‘information infrastructure’, before entering to the issue of ‘ICT-architecture’. Ability of organizations to meet their specific functions in society requires appropriate management of ICT in the organization. Whatever level of ICT application is at stake, this remains important. Especially organizations that apply ICT gradually - from simple to more complex approach - should have a sound ICT-policy otherwise it may lead to serious problems at a later stage. Are the guiding principles for good management clear and understandable at all governmental levels? Is the allocation of tasks and responsibilities to managers appropriate and do they have the necessary power of execution? Are the managerial tools in terms of planning control, accountability and liability appropriate? Is the system of performance monitoring appropriate? Are the financial mechanisms appropriate and do they meet the business demands? Does the organisational culture encourage the sharing of values towards good performance? Good management of organizations is about responsibility and accountability, as this is the way people co-operate. The more functions in the organization are spread over people, the more people are asked to rely on the performance of the other people. The allocation of tasks and responsibilities by consequence should be clear and transparent. Besides it might be observed, that sometimes people have certain responsibilities, without having the powers to exert their responsibility properly. Allocation of tasks and responsibilities therefore should go together with the allocation of appropriate mandates to these people. A related issue is the way managers administer in the sense of planning and control. Meeting business objectives (for example: delivering building permits based on zoning plans within e delivery time of say 30 days) require careful planning at various levels, and control mechanisms to guarantee delivery. In the quality management approach one speaks about the ‘plan-do-check-act’ cycle. Embedded in the system of clear allocation of tasks, responsibilities, powers and accountability, this way of working forms the basic tool for managers. Planning is not only about staff resources; it is also about money. Being responsible for budgets requires similar mechanisms as mentioned above. Again embedded in the allocation of tasks and responsibilities, planning and control with respect to money is the basic tool for financial management. Ability of organizations to deliver depends on the mechanisms of planning and control to form good management. Is there a policy in place determining the amount of staff and their required competences? Do the managers and employees know which job-categories require which expertise and skills? Do the organizations know how to assess the need for qualified personnel? In most developing and transition countries capacity assessment and development in terms of human resources is considered to be the most critical. This is about assessing the need for individuals to function efficiently and effectively within organizations and within the broader system, and it is about addressing the gaps through adequate measures of education and training. Land Administration is about people – from politicians, senior professionals and managers, middle managers and administrators, to office and field personnel, - whether in public or private sector. At the senior level a broad vision and understanding is required. At the more practical level the players in the system need to have an understanding of the overall system but some will have much more detailed and specific skills that need to be developed. In order to assess the capacity needs there is a need to identify the work processes in relation to the different land administration areas, such as land registration, subdivision, surveying and mapping, land-use planning and sectoral land management, land valuation and taxation. The content of these work processes should be identified in relation to, the legal and organisational framework for fulfilling the land policies. Next step is to identify the personnel needed at various competence levels to carry out the work processes. This is simply to assess the gap between the existing capacity and the capacity needed to undertake the land administration tasks in the short, medium and long term. The assessment should include both the public and the private sector. Assessing and addressing the capacity needs in terms of human resources is of course crucial to the ability/capacity of total the land administration system. What kind of educational and training resources are currently available? Do the educational and training programs have sufficient capacity? Are the educational and training programs appropriate? Once the capacity needs in terms of qualified personnel are identified, the next step is to consider the ways and means to address the gap. For the purpose a review of the current educational and training resources is essential. The review should include in country as well as out-of country educational opportunities, and it should include national as well as and local educational institutions at different levels. The existing programs at university level should be reviewed and assessed against the capacity needs. However, since land administration is a very interdisciplinary area there may be any adequate educational programs available. A new program may then be developed and hosted by a faculty providing the right combination of professional and research skills. Surveying education has traditionally leaned strongly toward engineering. A Land management approach to surveying education will, however, need a shift to teaching management skills applicable to interdisciplinary work situations and developing and running appropriate systems of land administration. Surveying and mapping are clearly technical disciplines (within natural and technical science) while cadastre, land management and spatial planning are judicial or managerial disciplines (within social science). The identity of an adequate land administration program should be in the management of spatial data, while maintaining links to the technical as well as social sciences. The existing programs at technician level should also be examined against the capacity needs. These programs may, however, have a more specialised profile to meet the needs for trained technicians in specific fields. The review of the current educational resources should of course include the range of qualified teaching staff, range of equipment, instruments and building facilities, etc. Sufficient and adequate educational resources are essential to provide the professional competence required for developing and maintaining appropriate land administration systems. What kind of educational development is needed and adequate to address the capacity needs? The design of in-country programs at diploma, bachelor, and master’s level should consider the immediate short-term needs for well-trained technicians as well as the longer term needs for qualified professionals. The training policies should meet these needs by adopting a modular structure to ensure flexibility, e.g. the diploma program may be merged with the first part of the bachelor program, and the program may allow existing personnel to be updated and upgraded to fulfil the capacity needs. A recently developed educational program in Malawi is an example of such a flexible and interdisciplinary approach (Enemark and Ahene, 2003). The programs should draw from local/regional teaching expertise to ensure long-term sustainability. The design of programs at certificate level, e.g. a one-year program aiming at training “land clerks” for the tasks undertaken by traditional authorities such as basic land measuring and recording related to the formalization of customary land rights. Sandwich and franchise programs: Such programs should be considered to balance the lack of in-country educational capacity. Out-of country training, and study tours abroad may also be considered in this regard. Training programs may be designed for e.g. hands-on training at the workplace. This will normally also include a program for training the trainers. Continuing Professional Development (CPD): Such programs may be designed to improve the competencies of the existing work force in relevant areas. The programs may be developed provided by the universities as well as by private course providers. The programs should be developed in cooperation between the course providers and professional practice. Virtual programs: This includes distant training at local, regional, national and international level. Such programs are normally rather expensive to develop and the provision demands a well-established national IT-infrastructure. Other measures: This may include workshops, seminars, etc. to promote understanding, debate, and analysis of land issues at the policy, management and operational levels. Land administration systems cannot be developed and sustainable maintained without an adequate and sound educational base. What kind of professional development is needed and adequate to address the capacity needs? Professional institutions such as a National Association of Surveyors play a key role in developing and enhancing professional competence. This relates to areas such as ethical principles e.g. through adoption of model codes of professional conduct suitable for performing the tasks and serving the clients and the societal needs. FIG offers some guidance in this area (FIG publication no. 16 on Constituting Professional Associations, and no. 17 on Statement on Ethical Principals and Model Code of Professional Conduct). Professional associations may adopt requirements continuing professional development to be followed by their member in order to maintain and enhance professional competence (see FIG publication no. 15 on Continuing Professional Development). Professional associations may also cooperate on regional level e.g. to enhance educational and professional standards, and to facilitate mobility through means of mutual recognition of professional competence (see FIG/CLGE, 2001 on Enhancing professional Competence of Surveyors in Europe, and FIG publication no. 27 on Mutual Recognition). Establishing a National education and research centre may be used a means ensure sustainability and continuity, and to develop a corporate memory of land administration experience within the country. In countries where there is an on going land administration project e.g. supported by the World Bank, the Centre could act as an ongoing body of knowledge and experience in land administration and using the actual project as a long-term case study and operational laboratory. The centre could provide educational programs and supervise establishment of educational programs at other institutions. The centre could interact with international academics and professional bodies to interact and assist the development of local academics. Land administration systems cannot be developed and sustainable maintained without sound professional institutions supporting professional development.